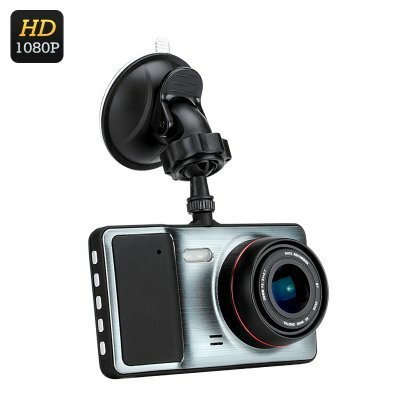 Successfully Added 1080P HD Car DVR - 170 Degree Lens, 4 Inch LCD, Motion Detection, G-Sensor to your Shopping Cart. G-Sensor that will protect vital data being overwritten. Are you going on a long trip by car? Just mount this large screen DVR on the windshield and it will record what is on the road in very detailed with 1080p HD video. Thanks to the 170 degree viewing angle this DVR will capture all of the road ahead to show what happened and which driver in front pulled out or drove iratically.In case an accident happens, you will have an accurate account of events recorded, making sure you are saved from false insurance claims. The video is captured and compressed in H.264 format, which is ideal for high quality video that takes up very little storage space. The 1080p car camera supports a micro SD card up to 32GB allowing you to record hours of high quality video foortage and plenty of photos as well. This car DVR can easily be mounted on the windshield using the included suction cup and navigateion of the device is easy with the the huge 4 inch LCD screen. It is very comfortable and you dont even hae to remember to turn it on as it has it will automatically recording when you start the car’s engine and save the footage to the inserted memory card. In addition to all this, G-sensor will detect any sudden movements that may occur leading up to an accidents such as evasive maneuvers on the road or heavy breaking and automatically lock the recording at that point so it can not be written over later. This 1080P HD Car DVR comes with a 12 months warranty, brought to you by the leader in electronic devices as well as wholesale Car DVR..